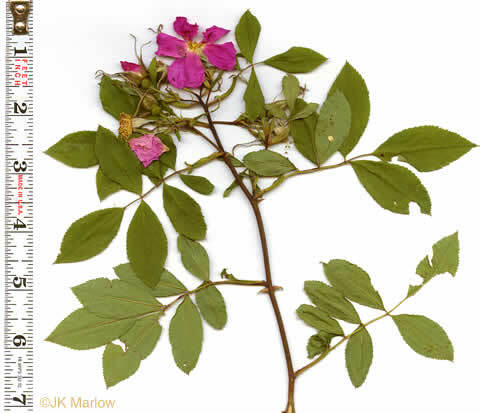 Your search found 2 image(s) of leaves of Carolina Rose and Swamp Rose. Leaves with 5 to 9 finely toothed leaflets, per Woody Plants of the Blue Ridge. 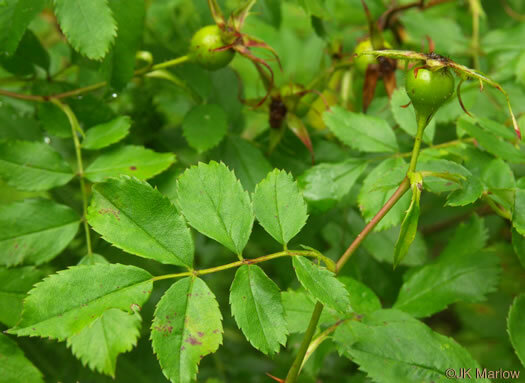 Leaves with 5-9 coarsely toothed leaflets, per Woody Plants of the Blue Ridge.